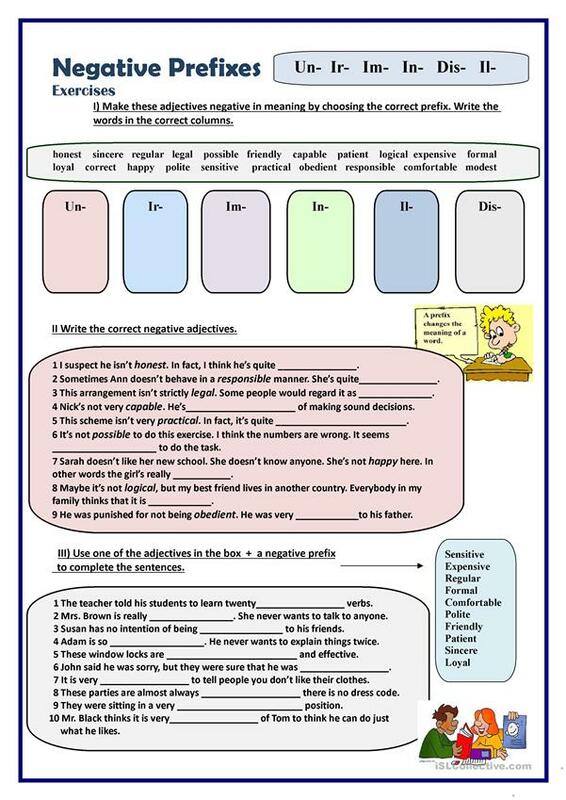 The worksheet is made for teaching or revising negative prefixes, key is given. Hope you find it useful. This downloadable worksheet is intended for business/professional students, high school students and adults at Pre-intermediate (A2), Intermediate (B1), Upper-intermediate (B2) and Advanced (C1) level. It is a useful material for practising Prefixes (e.g. A, UN, IM, DIS, MIS, EN, etc. ) in English, and was designed for improving your learners' Reading and Writing skills. 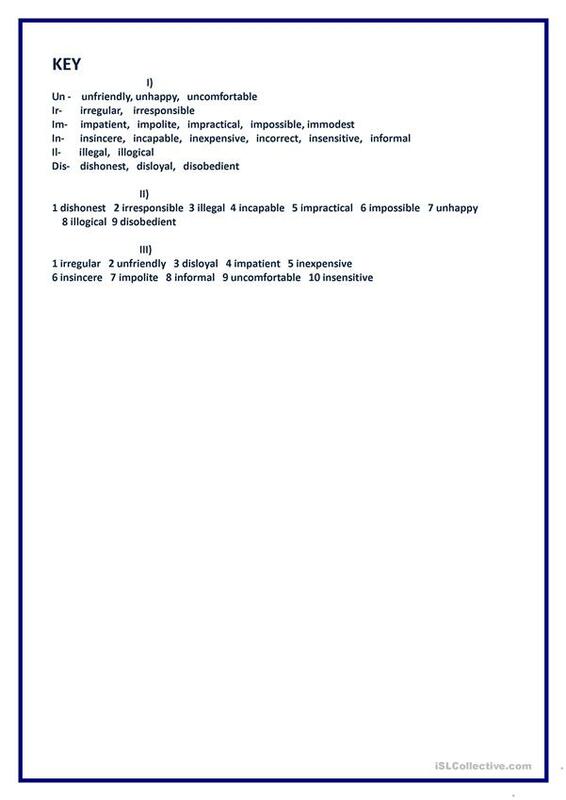 It features the vocabulary topic of Describing people. The answers are provided, too. tantana is from/lives in Russia and has been a member of iSLCollective since 2012-11-28 17:09:54. tantana last logged in on 2019-04-24 12:36:00, and has shared 260 resources on iSLCollective so far.